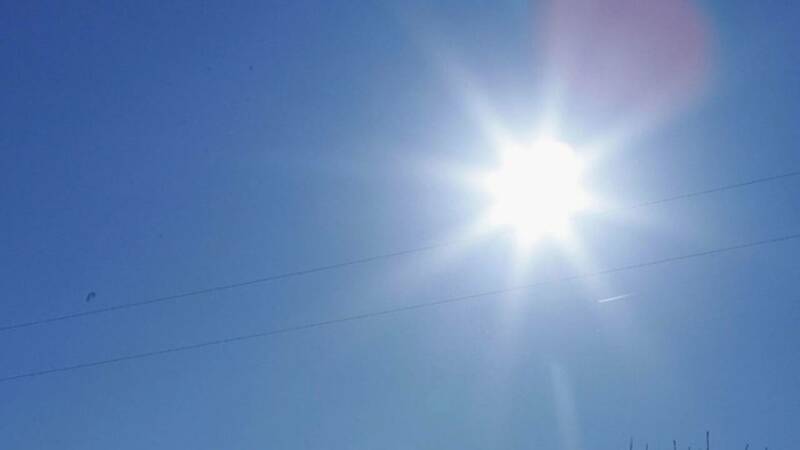 (CNN) - Human-induced climate change has made the United Kingdom's record-breaking 2018 summer heatwave around 30 times more likely than under normal conditions, the country's meteorological body has said. The UK as a whole endured its joint hottest summer on record in 2018, and the hottest ever for England. Temperatures peaked in the east of England, reaching 35.6C (96F) in Felsham, Suffolk on July 27, and the UK's average temperature matched previous highs recorded in 2006, 2003 and 1976. A new analysis from the UK's national weather service, the Met Office, presented at the United Nations' COP24 climate change conference in Katowice, Poland Thursday, has shown that the UK now has an approximately 12% chance of average summer temperatures being as high as in 2018. Such temperatures would typically have a less than 0.5% chance of occurring under "natural" climate conditions. "Our provisional study compared computer models based on today's climate with those of the natural climate we would have had without human-induced emissions," said Professor Peter Stott from the Met Office and Exeter University. Stott noted that the "rapidly increasing changes" stem from an increase in the concentrations of carbon dioxide and other greenhouse gases in the Earth's atmosphere. Carbon dioxide concentrations reached 405.5 parts per million (ppm) in the atmosphere in 2017, compared with an atmospheric concentration of around 280 ppm in the pre-industrial era (pre-1750). A new report published this week by the Global Carbon Project, an international research project on global sustainability, revealed that fossil fuel emissions rose by 1.7% in 2017, and are set to rise further by 2.7% this year, to 37.1 billion tonnes of carbon dioxide. The Met Office warned that soaring temperatures are having an increasing impact on people's lives. "The extreme temperatures experienced in the UK and around the world during summer 2018 had a significant impact upon many people's lives," Met Office chief scientist Professor Stephen Belcher said in a statement. "We now live in a climate in which heatwaves occur more frequently and, depending on the choices we make around greenhouse gas emissions, we could reach a point in the future when we can expect a hot summer like that of 2018 to occur every year," he concluded. A quarterly mortality report published by the UK's Office for National Statistics showed that there were 259 more deaths on June 25 and 26 this year compared with the five-year average of 2,146 for the two days. Crop failures were also recorded across the country, Northern Ireland introduced its first hosepipe ban since 1995, and critical drinking-water reservoirs ran dry. Kathryn Brown, the head of adaptation in the UK's Committee on Climate Change, which advises the government, told CNN that the report reinforces that the government must redouble its efforts to address the impacts of high temperatures and lack of rain. "The government must address the issue of greater shortages in water supplies for people, agriculture, industry and the natural environment, whilst improving shading and ventilation in new-build properties as well as reversing the decline of urban green spaces," she said. "Without action, the number of heat-related deaths could increase from 2,000 per year today to 7,000 by the 2050s as a result of climate change and population growth."